Jaguar is inviting potential XE buyers to drive up to three of its key rivals at its showrooms this weekend (2-4 September). It's thought to be the first time a manufacturer has launched such an initiative, with Jaguar dealers actively encouraging drivers to compare the XE against its main German rivals. Jaguar has shipped in more than 250 cars from its three main rivals, which will allow the public to conduct a personal group test before deciding which compact premium car they want to buy. 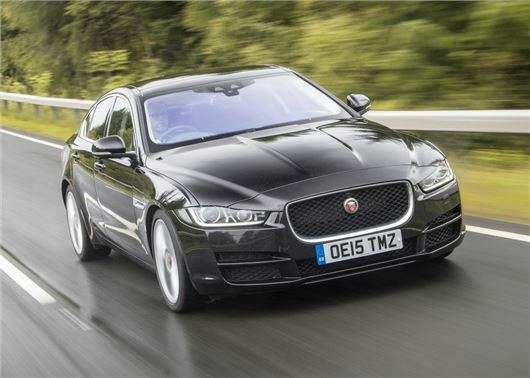 Potential buyers will be invited to pitch the Jaguar XE 2.0 (180PS) diesel against the BMW 320d (190PS), the Audi A4 2.0 TDI (190PS) and Mercedes-Benz C-Class C220 (170PS). All four are priced between £34,000 and £36,000 and will be available to drive at participating Jaguar showrooms from 2 – 4 September. Jaguar Land Rover managing director Jeremy Hicks said: “Our offer is simple: if you are interested in test driving a Jaguar XE, but are uncertain about how it will compare against its key rivals, then contact your local Jaguar retailer and arrange your own personal group test."